The Standing Stone: Temple Ciaran, Clonmacnoise, Co. Offaly. 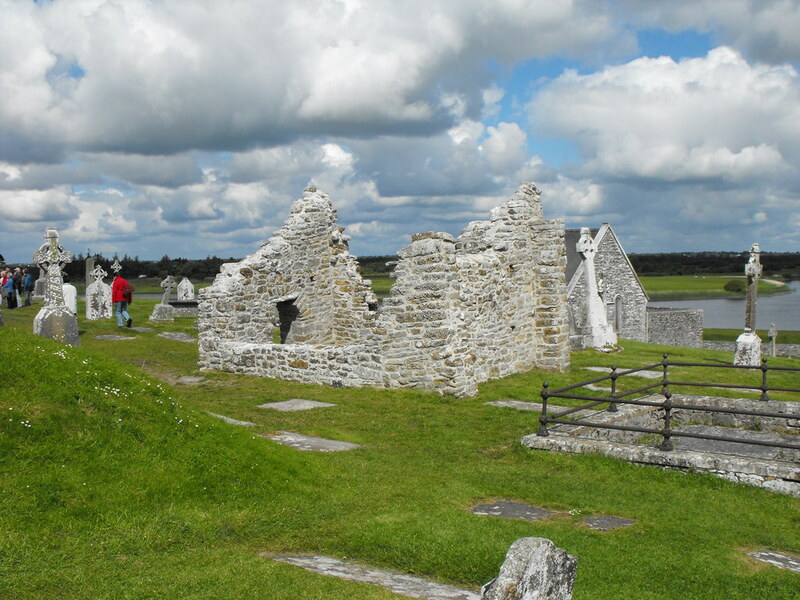 Temple Ciaran, Clonmacnoise, Co. Offaly. Location – Next to the Cathedral in the main site. I don’t have a GPS reading for this little church. I don’t know why I didn’t take it. I think because it was wrapped in plastic and I wasn’t taking pictures I just kind of forgot about it. 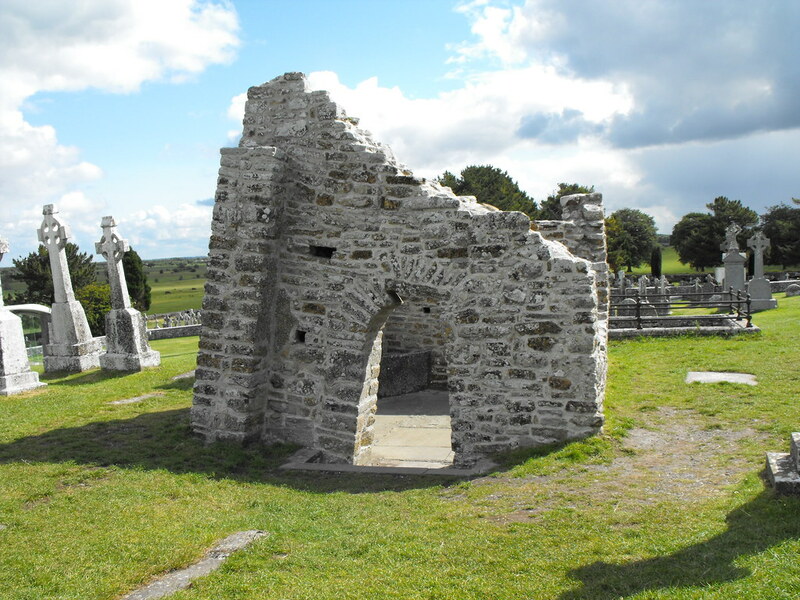 Description and History – This is the smallest and oldest of the churches this is supposed to be the resting place of St Ciaran, the founder of the site. 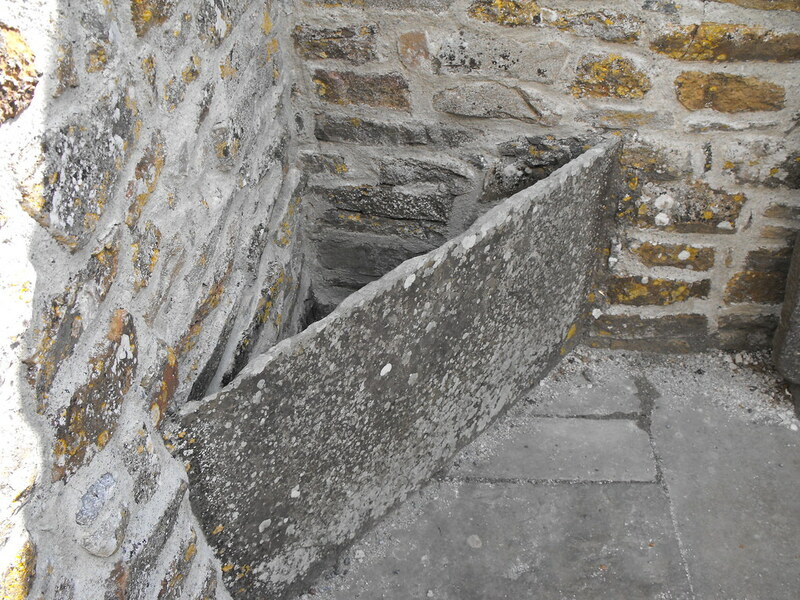 It only measures 4m x 3m and dates to the early 10th century with some more modern rebuilding work. Until the 17th century it housed the relic of St Ciaran’s hand and two croziers were found here during excavation. To me this is one of the most endearing ruins at the site. 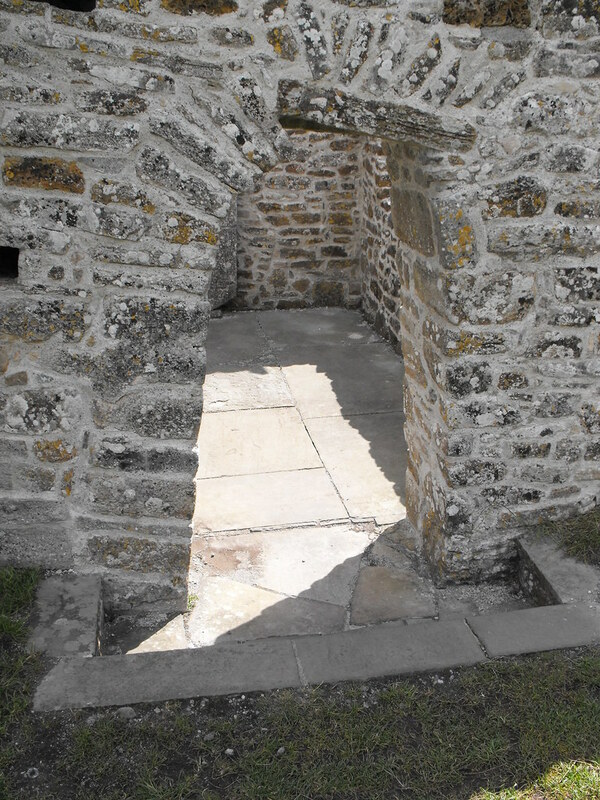 It's crookedness gives it a certain charm and although the smallest ruin at the site it stands out the most in my mind. Difficulty – It is in the main site and easy to get to. 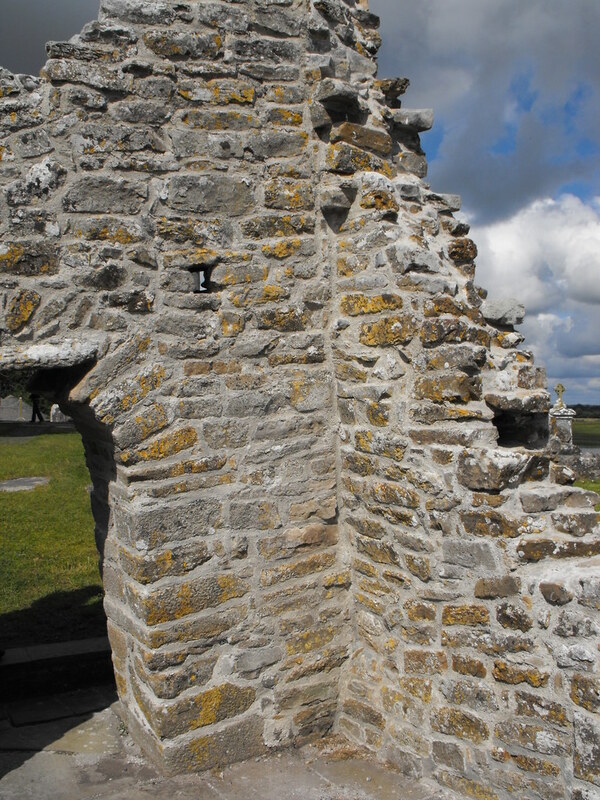 Back to the Clonmacnoise menu page. 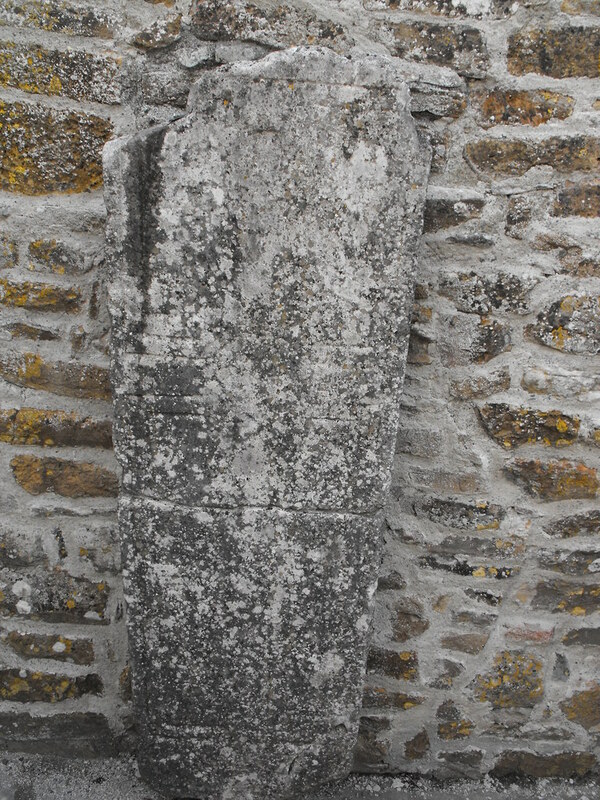 This cross slab sits on the back wall of this little ruin. I'm not sure what this little box was for.